What is Go! Sign Roadshow doing and where have there been visits? Maybe we can visit your event? So what has the new Go! Sign roadshow been up to since September? Well, initially a form was created. This is used to create links between people and Deaf Christian organisations as we travel to different places. Roadshow has established a small Deaf friendly Christian bookshop which sells bibles, especially bibles more suited to deaf people, bible guides, deaf awareness materials created for churches, resources written by deaf people and books for children. Two events there were invites to. Brownies, where Alex (deaf) and I taught some basic BSL which the brownies really enjoyed. The second one was St Peter's Church, Mothers Union (Rawdon, Leeds) where Anna Lickley (Deaf) presented about her experiences as a Deaf/deafened/deafblind person. She presented very well. 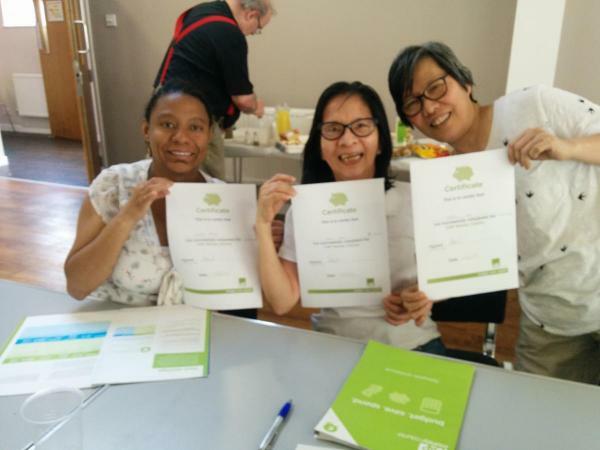 We also provided opportunity for the group to have a try at some basic signing eg. A Christian hymn. Two bigger projects have been set up. 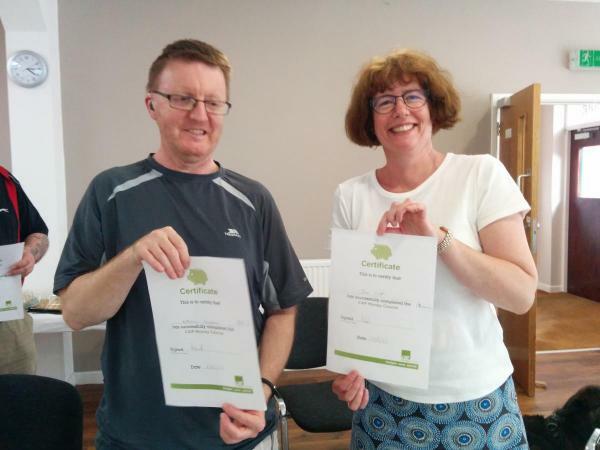 The CAP money course was run in Birmingham and four people trained to run the course themselves. They will be running a course in Cambridge later in the year. The second project was a drama group in Halifax who put together a Christmas nativity performance. 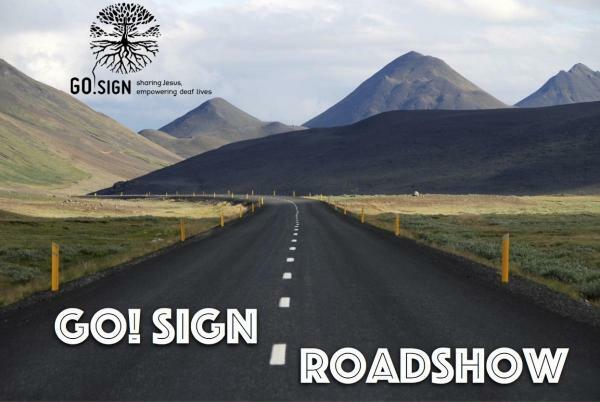 The roadshow provides information about events. BSL led Christian events and events that have interpreters. Information about events is also available on the Go! Sign website. 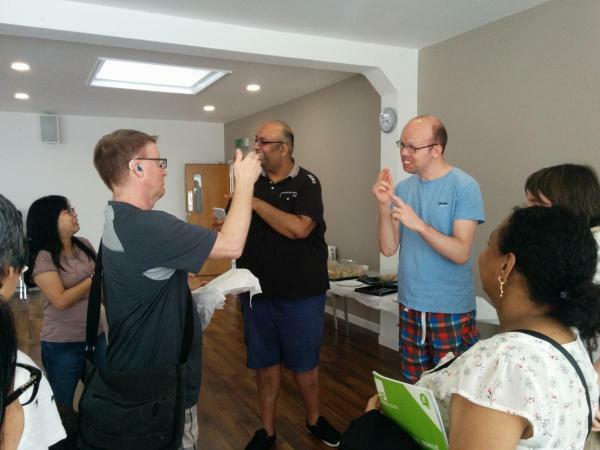 The roadshow has visited a number of deaf churches and churches where groups of deaf people attend, as well as deaf social gatherings at clubs, pubs and cafes. These visits have focused on the Yorkshire area. 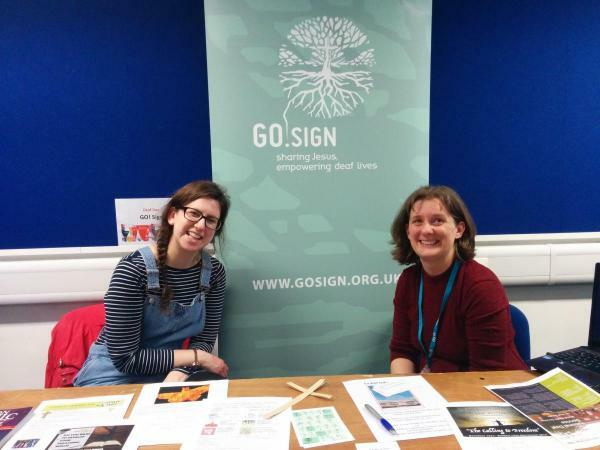 In addition the roadshow has provided a resources around the UK at DY4C, Signs of God workshops, Deaf Anglicans Together and Go! Sign Festival Day.